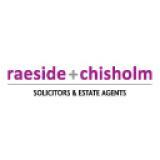 The directors of Raeside Chisholm are experienced solicitors who enjoy a deserved reputation in Glasgow and beyond for personal attention allied to a commitment to outstanding levels of quality legal services. For enquiries, please contact us on 0141 248 3456. Under new draft laws, overseas companies that own or buy property in the UK will be required to provide details of their true owners on a public register. The new legislation is part of a wider crackdown on money laundering in the property sector and follows concerns regarding the lack of regulation involving the acquisition of high-value UK property by offshore companies. Despite the anonymous ownership of property via offshore companies being perfectly legal, there have been concerns about the influx of foreign money forcing up house prices. A ban on a foreign entity selling or leasing a property without declaring its beneficial owner, with a jail sentence of up to five years and an unlimited fine for those failing to comply. Up to two-year imprisonment and an unlimited fine for individuals who fail to register or attempt to file false information. The government has stated that more than £180 million worth of property in the UK has been brought under criminal investigation for corruption since 2004 and over 75% of properties currently under investigation use offshore corporate secrecy. The UK will be the first country in the world to require overseas owners to provide details of their true identities. Legislation will be passed in 2019, and the public register will take effect in 2021. For expert legal advice on buying or selling property in Scotland then contact our specialist property solicitors today.